Funnel Fridays Episode 1 is a Google Hangout Live Stream show featuring Russell Brunson and Jim Edwards. They team up to take a real Green Drink Coffee Supplement product submitted to the show and build out a fictitious sales funnel for the owner. However, the catch is the funnel must be completed in just 30 minutes using both ClickFunnels and Funnel Scripts software. Want to know if they build out the sales funnel within the 30-minute time frame? Watch the Funnel Fridays Episode 1 video below! This Funnel Fridays show is the first episode ever, so it takes a little bit to get things moving. Russell is using Eggtimer.com to run the 30-minute countdown clock. Before starting the timer, Russel sketches out a quick overview of the strategy so you can understand what pages are in this supplement funnel. The scripts that Jim Edwards uses from Funnel Scripts are the Killer Headline Scripts and Who, What, Why, How script. 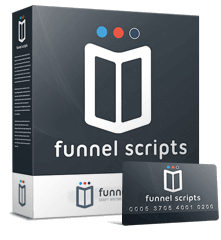 Once Jim shows how he easily builds out the scripts inside the Funnel Scripts software, Russell takes over and demonstrates how easy it is to create a sweet looking funnel in just 30 minutes. This episode is worth watching, not only because it shows the power of using ClickFunnels and Funnel Scripts together, but the show is a model of how to demonstrate a product and remove all doubts in your prospect’s mind! Want The Products Featured In Funnel Fridays Episode 1? Daniel Boswell is a web designer living in Lynchburg, Va. When he's not working on a client project, Daniel likes to go do fun stuff with his family. He's recently started making a habit out of blogging about content management systems and marketing tools to help small businesses. TheCMSGuy.com Copyright © 2019. All rights reserved.